LOOSE AND LEAFY in DORSET: DO YOU KNOW? We're into a new month but there are pictures I don't want to leave behind - pictures of things I like or find interesting but don't quite know what they are. Then there are.lichens. These were growing huddled against each other on a fallen branch (again in the New Forest). Lichen 1 Pale and Feathery. Lichen 2 Pale and Lumpy-flakey. I know where I saw them but nothing more. Do you know their names? 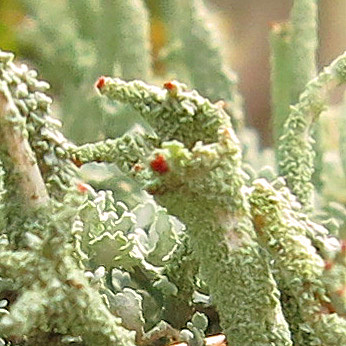 And back in Dorset; I put a picture of this lichen on iSpot and it was identified as Cladonia polydactyla. 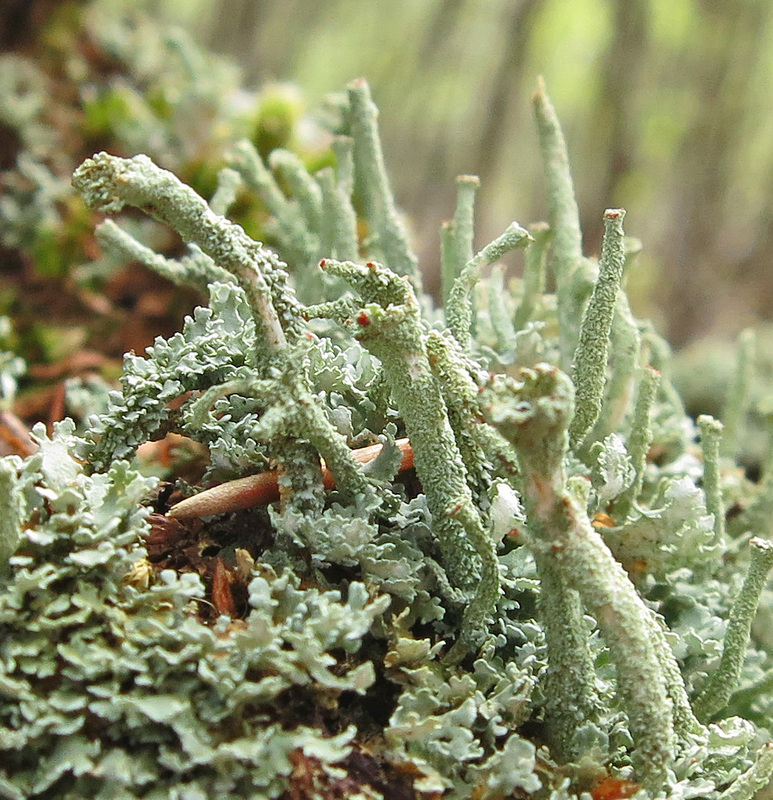 But how do I know it's not Cladonia digitata? Because I don't know how to tell, I'm going to call it Lichen with the Bloody Fingers. I've had even less luck in finding out what these fungi below are. Both are tiny. These are even tinier. (About 4mm across?) I wouldn't have seen them had I not sat down with a flask of coffee to admire the view. They were in the shadow of a hedge but facing a huge drop and dip in the landscape. (Hence the view.) So are they in shelter or exposed? It depends on which direction you are looking! But, short of the Latin one, I'm stumped for a name. Any ideas? and close 7pm UK time on Wednesday 14th. 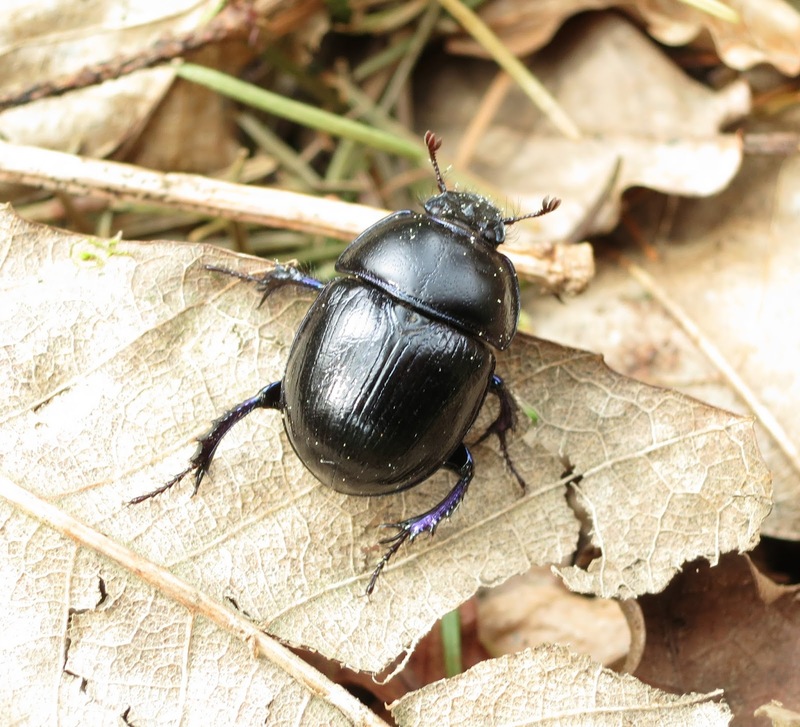 Beetles of the Geotrupes genus - on the Bug Guide site. 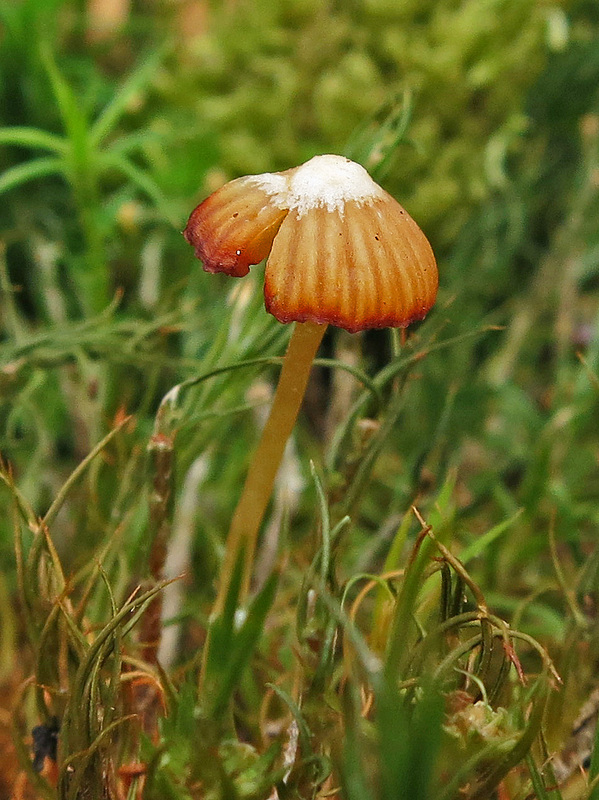 Fungi Identification Guide - on the First Nature site. Hi, Mike. Was worried I'd overdone the links! A lovely post, I love watching the bugs I find in the garden. I like links, it is a way of finding out further info. Hi Lucy, you made me smile with this post I know what you mean, trying to name thing we find can be soooooo hard. Has taken the best part of a week to name a Hoverfly...who new there was so many....and you can't trust always trust the information you find on the Internet as some of that is wrong too. Love the bug you found, would you have picked it up to look underneath ??.. can't overdo links ... we can choose to click, or just remember they are here for future reference. Today I introduced someone to ispot, and thought of you. Lucy I love the lichen photos...so much more 3D than mine. 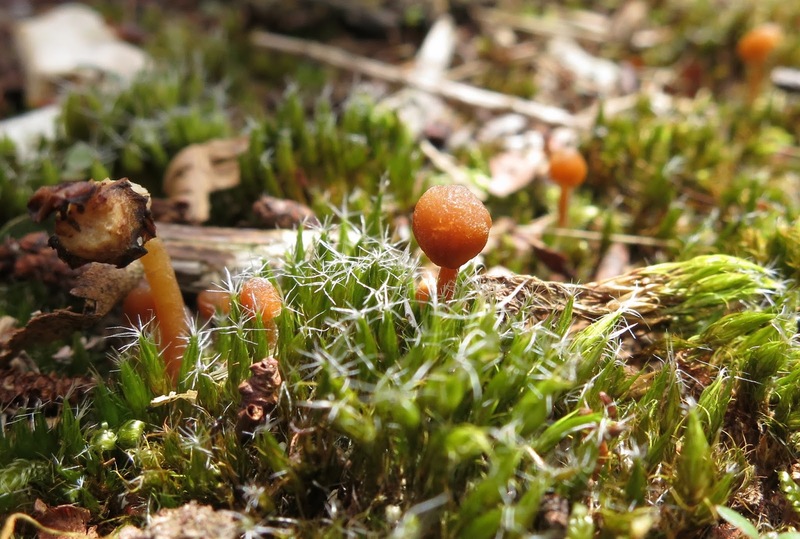 Stunning photos of moss, lichens, and fungi! That happens to me a lot, too. I'll think a photo turned out OK, but it doesn't fit the particular post I'm working on at the time. So it just kind of fades into the memory card. I'm glad you share these photos--they're amazing! 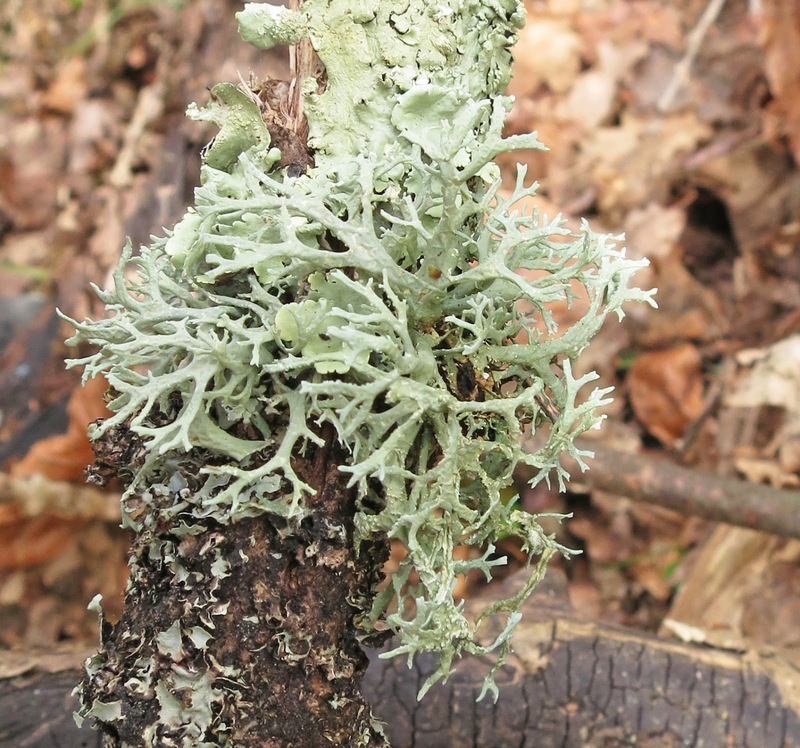 Seeing your photos of the lichen is going to make me go out and study my tree trunks and branches more closely. I know I have the first two in your photos. There is also lots of moss around here. I have never gotten into the technical names, but think I will try to do that. However, I do love your one names for them. So much more descriptive! Whoops, I meant to say own names, not one! Excuse my typo! Hello Mark. I was going to say the advantage of my system is that I can remember the names - then I realised that may not necessarily be so. 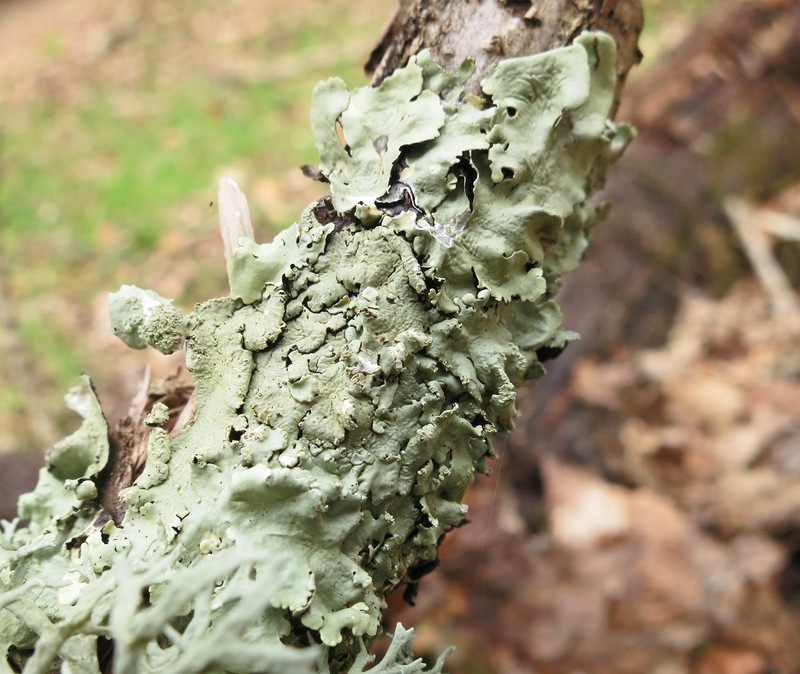 These same lichens and toadstools may turn up with different names on a later post! Hello Amanda. If you've been identifying a hoverfly you will probably already know the extraordinary British Hoverfly site. But in case not - here's the link. It's only in the last few years I've realised there are so many too. Hello Countryside Tales. I have a few books but I rarely get anywhere with them. The advantage of the internet is not just that one can get help with IDs but it's often possible to see lots of pictures and lots of angles - and that (to some degree!) helps. Hello Diana. Glad you too like links. iSpot is a great resource. Hello Donna. And thanks. Glad you like the lichen photographs. They wouldn't do well as prints though - especially the Bloody Fingers type which I cropped out of a much bigger picture. It's where screens win out over paper. Hello Plant Postings. I can imagine when I'm about 95 and no longer able to crawl around in the undergrowth looking for interesting plants and insects I'll be blogging still by raiding my archives for a life-time of un-used photos. Hello Trella. I hope you are finding interesting lichens and fungi and mosses already. Hello Hollis. The 7th comes round much faster than it used to before setting the date for tree following posts! I'm totally useless when it comes to identifying lichens or fungi, though I think your beetle is actually Brian. Wonderful photographs, what camera do you use? More importantly, what lens? Not that I will be upgrading any time soon. Or learning enough about lichens. I do enjoy your names though. I shoudl do that, get less cross at not being able to identify something and just give it a name of my own. I used to do it with constellations, after all, why not lichens and wildflowers? Hello Janet - re. the camera. It's a Canon Powershot S100 - so there are no lenses to change! I'm really happy with it. It's very versatile and takes pictures simultaneously in RAW and JPEG if you want it to - which I do because I have dreams of writing a book with pictures in it one day! It's small (four inches by two and a half at a guess) so I can carry it everywhere with me. When I bought it, I was told the quality of the photos was equivalent to that of the lower end DSLRs (and lower end was all I could afford! )and I chose it. It's more robust than a DSLR - perfect for clambering over rocks and crawling around in undergrowth - which would be harder with a DSLR. There are disadvantages with not being able to change lenses and if I could have a really good DSLR as well - then I would! But it takes good long distance pictures as well as close ups and I have adapted my photography to some degree to it so we can work together in harmony - me and the camera!